After signing a partnership agreement with the Finnish hyperspectral camera manufacturer Specim, FX series hyperspectral cameras are now available from all European STEMMER IMAGING subsidiaries. STEMMER IMAGING now offers Specim FX series products in all European countries the machine vision technology provider serves. The most important products of the recently signed agreement are the newly introduced compact hyperspectral cameras Specim FX10 and FX17. These cameras are designed for wavelength areas ranging from 400 nm to 1000 nm (FX10) and from 900 nm to 1700 nm (FX17). A spectrograph that is required for hyperspectral imaging is integrated directly into the camera body through a patented process. Nevertheless, compared to other hyperspectral cameras the two new models have an extremely small footprint of only 150 x 85 x 71 mm. 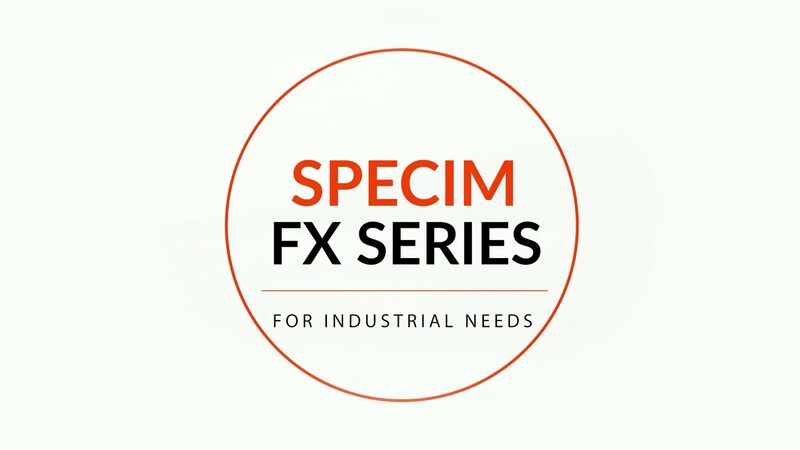 Users of the Specim FX models have the option to select and evaluate from 220 or 230 wavelengths that are optimally suited for an application due to the material properties of the test object. The number of selected wavelengths directly affects the speed of the solution: The fewer wavelengths that are selected for testing, the faster the evaluation. For example, if a user needs all 220 wavelengths, the maximum recording speed of the Specim FX10 is 330 fps. and 6510 frames per second can be achieved by selecting 5 wavelengths in 3 different areas. The Specim FX17is the first InGaAs based spectral camera for the near infrared wavelength area offering real MROI features. Its frame rate is 670 fps at 230 bands, and 15000 fps with four selected bands. Other features of the Specim FX models are specially adapted C-mount lenses, an excellent signal to noise ratio of 600:1 and a calibration directly supplied by the manufacturer. This calibration guarantees identical results even if a camera module needs to be replaced due to failure or maintenance in the field. At STEMMER IMAGING, users can obtain the Specim hyperspectral cameras including image acquisition software and SDK and appropriate image acquisition cards and cables from a single source, which greatly simplifies the entry into hyperspectral imaging. Hyperspectral imaging systems analyze the molecular properties of test objects and create a "chemical fingerprint" of materials. By analyzing more than 100 wavelengths they open up areas of application that cannot be solved with conventional systems. Typical applications for this technology are the classification of plastics during recycling processes, applications in the food industry as well as the identification of any material that hardly shows differences in the real image, e.g. in mining, in the pharmaceutical industry or in the medical field.